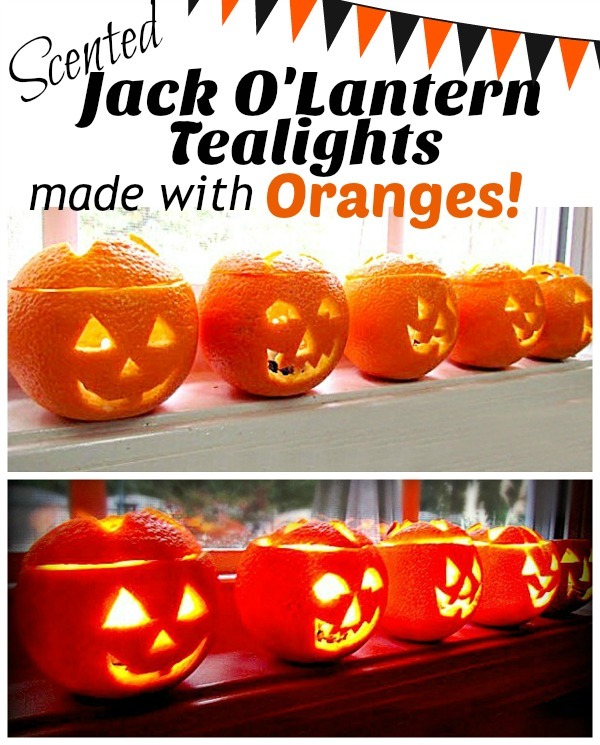 Halloween Scented Tealights made with Oranges! I’ve never been a huge fan of scary Halloween decorations. Orange isn’t my favorite color and being scared isn’t my favorite thing. So, I tend to decorate with fall themed items rather than going the scary-witchy route. 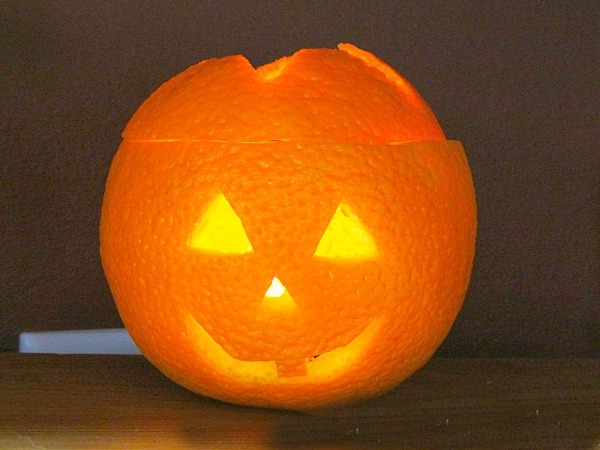 This week I created a whole mess of Halloween Scented Tea Lights with Navel Oranges! Scented with allspice, they make the whole house smell wonderful! 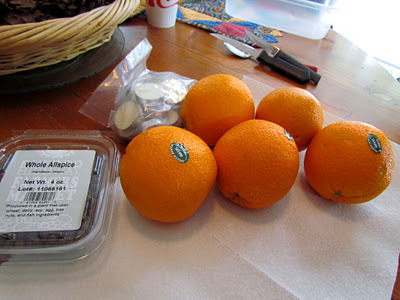 I really do love the smell of citrus and allspice. So I found a way to combine the Halloween “scary-ness” with the natural scents of oranges and spice. 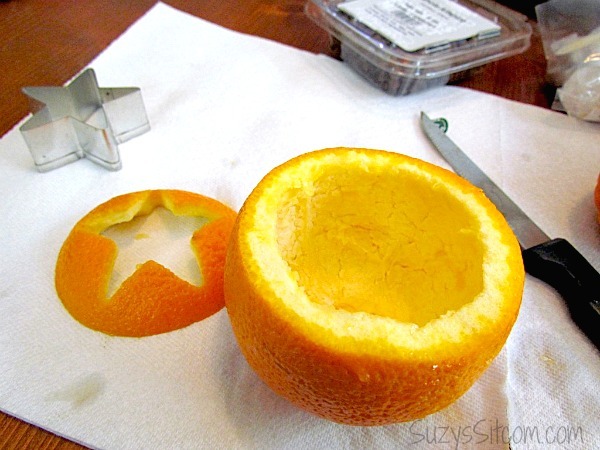 Begin by cutting a “lid” from the orange about 3/4″ from the top. Scoop out the orange and set aside for making fresh squeezed orange juice. 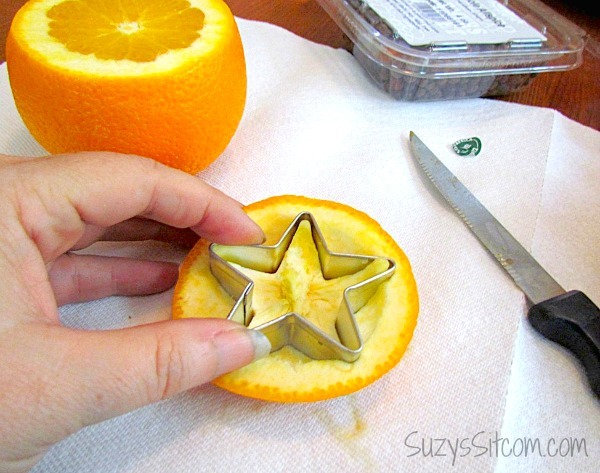 Take a metal cookie cutter that is smaller than the circumference of the lid and firmly press to cut out a shape in the center of the lid. 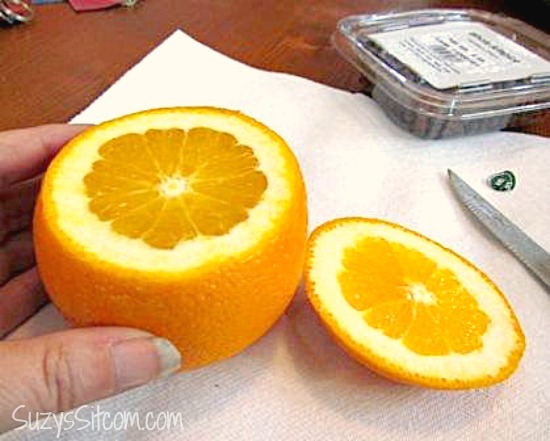 Scoop out the orange from the inside using a spoon. Now you are ready to make your face! 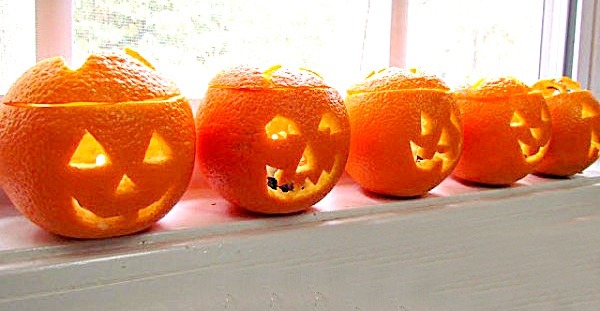 These suckers are so much easier to carve than a silly pumpkin. 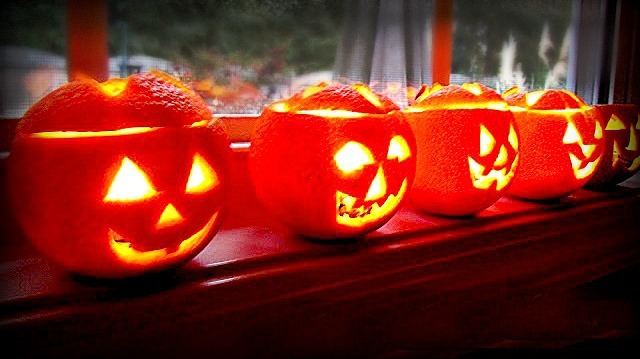 (Notice that all my Jack O Lanterns are smiling. I told you I don’t do scary). Put your lid back on top and let it burn. Soon you will smell the pleasant aroma of spices and orange. Very neat. 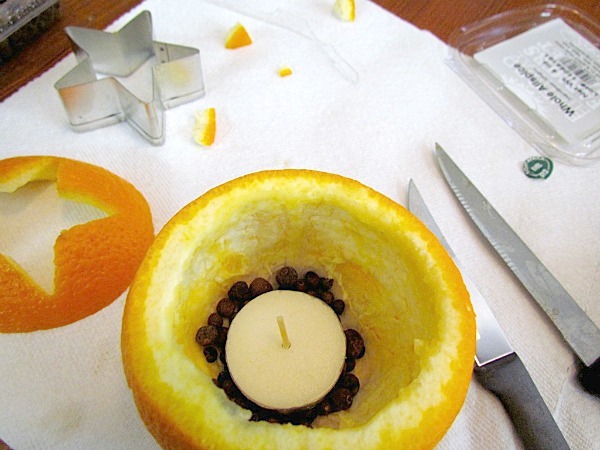 These little votives will last as long as the candle does and you can replace the candle several times before the orange finally gives out. Mine lasted about three days and then I put the rinds out for the birds to enjoy. They look great lined up on the window sill and make the house smell so good. You could also use these little Jack O Lanterns as place settings on a Fall table scape. Wouldn’t that make the table look festive! Or just line them up on the window and smile! 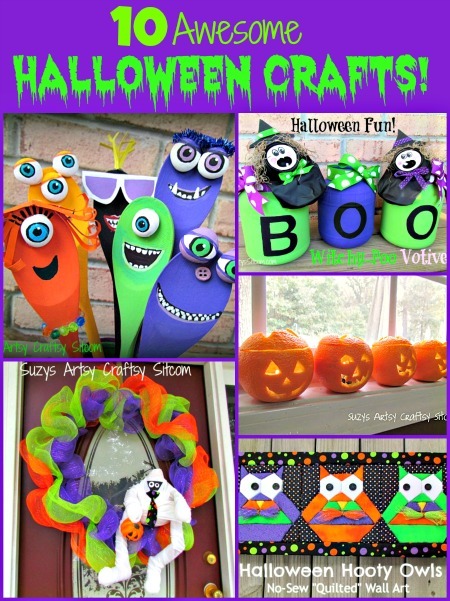 Want more Halloween Themed Craft Ideas? 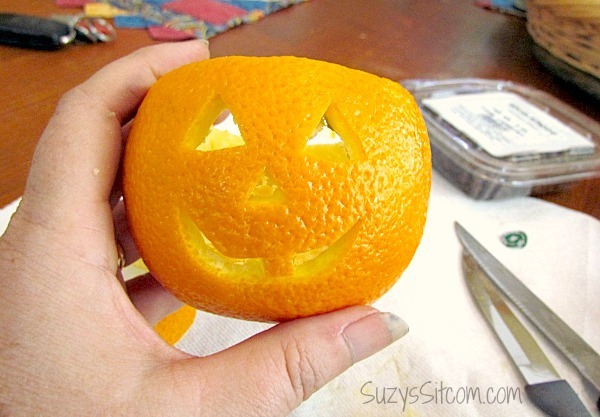 Here are my top 10 most popular Halloween Craft Ideas! For hundreds more tutorials and recipes for all ages, be sure to visit my Tutorial Page! Next post: Paper Crafts: How to Create the Look of Ceramic Mosaic!